Khloé Kardashian never fell out of love with Lamar Odom, a fact she didn't even try to hide during the difficult years in which they separated and, more recently, agreed to divorce. If you haven't heard the only great news to come out of a really horrible week for Odom (and Kardashian) after he was found unconscious in a Nevada brothel on Oct. 13, Khloé Kardashian and Lamar Odom reportedly called off their divorce. Bustle has reached out to reps for Kardashian and Odom about the reports, but has yet to hear back. 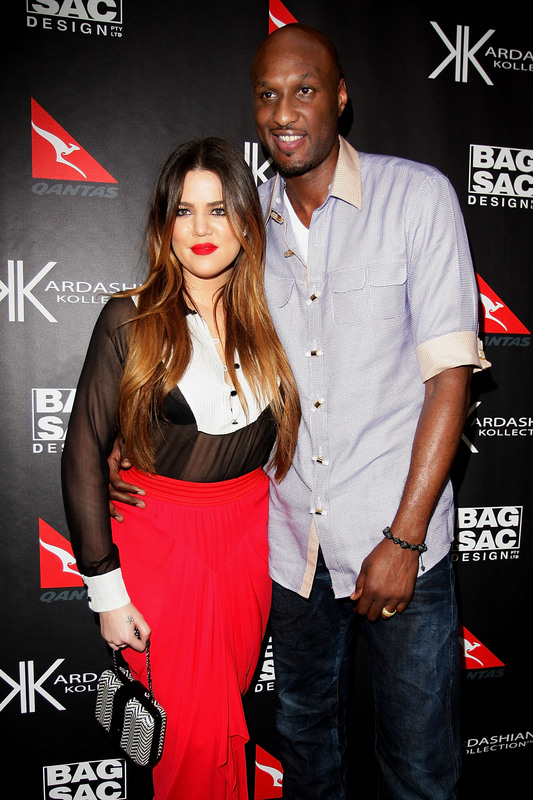 According to TMZ, both Kardashian and Odom signed a court document asking that their divorce request be dismissed. Kardashian has reportedly been glued to Odom's side since the day he was hospitalized. Clearly, Odom is the luckiest man on the planet — both because he is making "miraculous progress," according to a statement released by his aunt, and because he has the love and encouragement of a woman he hurt several times. In an interview with E! News in April 2015, Kardashian admitted: "I will never, ever, not love Lamar. I was so obsessed with him in a healthy way. He was my husband, and I still wish he was, and I don't think there's anything wrong with that." 2. They Had A "Fantastic Marriage"
Kardashian often expresses herself through Instagram and Twitter, using somewhat vague messages that leave no doubt about her true feelings. I can only assume this sad quote was meant for Odom. Rather than go on about how there are other fish in the sea and she can do better than Odom, Kardashian accepted the pain she felt after the demise of their marriage, judging by this post. If this is about Odom, it seems her feelings might run deeper than just missing him — he is and always has been a part of her. In an interview with Complex, Kardashian had only high praise for her ex: "Lamar is genuinely one of the best people I’ve ever met, and everyone says that when they meet him. I think Lamar’s gonna always be that person [for me] but that’s what made it so special. Even if I had it for five years or whatever, it was the best ever and I’m grateful I did. Some people don’t get that ever and I had that magic for a long time." I'm thrilled to hear that the couple may be giving their relationship a second chance. And I have no doubt that Kardashian would give it 100 percent of her heart and time.